Can I Insure My Hands With Hands Insurance? This question was posed to us recently by a prospective client looking for hands insurance. The short answer: yes, you can insure your hands. Unless you are a rock star, movie star, or an athlete, there is an easier way to insure your hands without directly insuring them through Lloyds of London (whom we do work with). 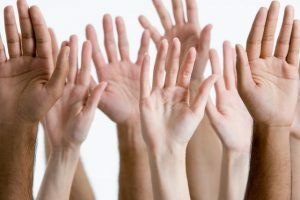 In this article, we discuss hands insurance, why your hands are important, and more specifically, disability insurance. Take a look at your hands. What do you see? Ok, so you need to trim the fingernails, apply some lotion, and put a band-aid on that cut. What do you really see? Next to your brain, we see the means to your achieving financial independence. Think about it. You can’t find a profession where you don’t use your hands. If you are a dentist or surgeon, you use your hands. Are you a chef? You use your hands. If you are an electrician, plumber, carpenter, or some other tradesperson, you definitely use your hands. The professions go on and on. (I used my hands to type this article.) We use our hands for everything, and we take them for granted. What if you no longer had use of your hands? Or fingers? Or wrists? It would be very difficult for most of us to continue to work. You can insure your hands. Insuring a body part can be an expensive proposition (you may have heard that Lloyds of London insures body parts). Fortunately, for most of us, we can insure our hands through an affordable disability insurance policy. We can insure our hands, and other body parts and organs, through a disability insurance policy. What is disability insurance? It is a policy that will pay you a monthly benefit if you become disabled, on or off the job, from a sickness, illness, injury, or accident, and you can no longer work or no longer work full time. In other words, it is a policy that is designed to protect your income. Why is protecting your income important? Think about it. Now, think about this scenario. You just received your paycheck and need to pay some bills. What would you do if that paycheck was the last one you received for 6 months? How about a year? How about longer? What would you and your family do for money? This is the purpose of disability insurance. It protects your income in case you can’t earn an income due to a disability. While you may think the cost of disability insurance is expensive, it is not. Depending on your health, income, and circumstances, disability insurance usually costs around 2% of your gross income. Stated another way, the premiums may cost between $0.50 and $3.00 per day. Certainly, you can find $3.00 per day or less to protect your income and your family’s future, right? If you don’t know how much disability insurance you need, use our disability worksheet. Just follow along and fill in the blanks. Your estimated disability insurance amount automatically calculates. Yes, you can insure your hands with hands insurance. The best way for nearly everyone to do that is through a disability insurance policy which will not only insure your hands, but also insure everything else in case you became sick or injured and cannot work long-term. We take an educational approach to disability insurance. Because, frankly, it can be confusing. However, disability insurance is one of our specialties. We have helped many individuals obtain affordable disability insurance. Contact us or fill out the form below to learn more. As with everything we do, we have your best interests. It is the only way we know how to work with our clients.